Thanks for signing up for the business blog content idea cheatsheet! Three months of blog post suggestions, sample headlines and tips on engaging with you audience are on their way to your inbox. Would it save you some time if I looked over your blog, gave you targeted suggestions for blog content and how to improve your site and then sent you a report of what actionable steps to take to get your blog on track for greatness? 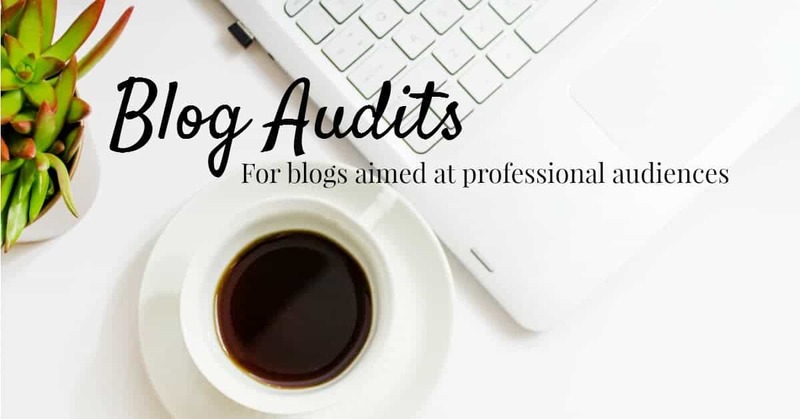 Hop over to here to find out more about my blog audit service: the fast (and cost-effective) way to rocket your business blog forward.